No stressful commute to class from your student accommodation with Bournemouth University Lansdowne Campus a 10 minute walk from your door. Jump on a bus to be at Arts University Bournemouth or Bournemouth University Talbot Campus in 15 minutes. When you’re not in class you can make the most of living by the coast with bike rides by the beach, kayaking or scuba diving. Or recharge with a coffee at Espresso Kitchen before hitting the shops. 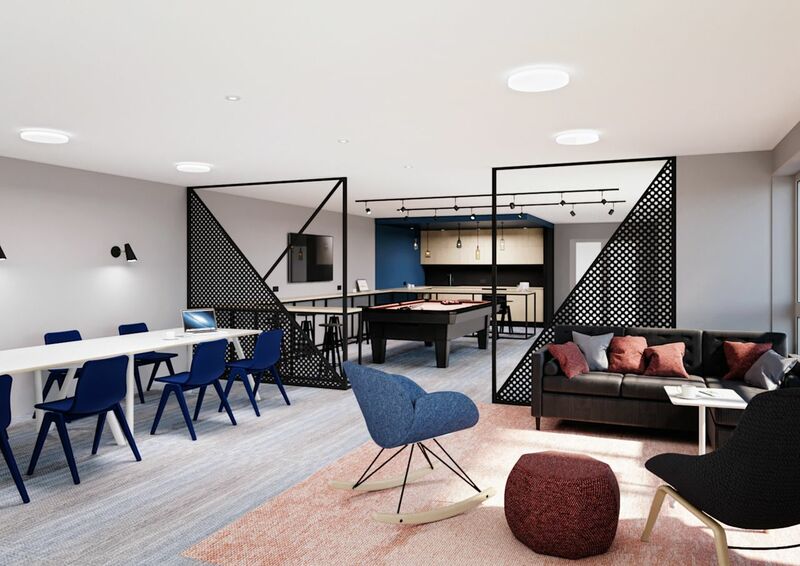 Set up camp at Oxford Point in some of the best student accommodation in Bournemouth with a range of ensuite rooms in shared flats and studios. 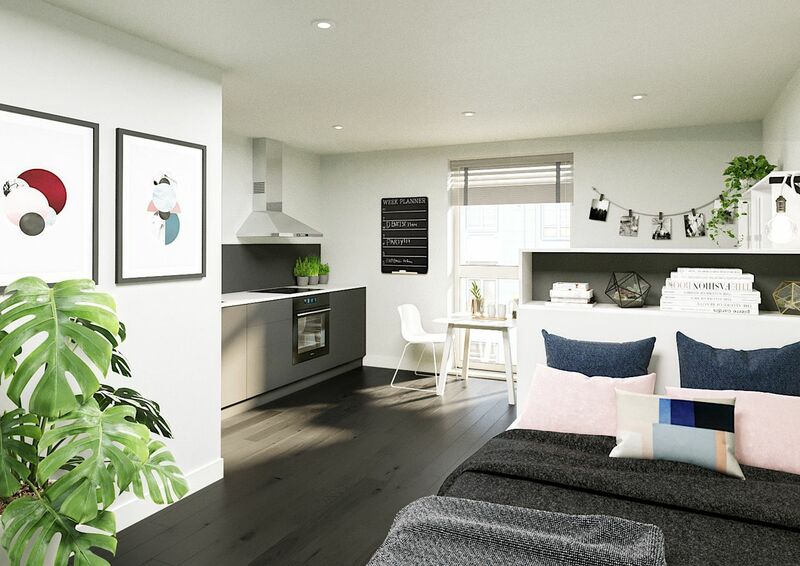 If you opt to share a flat you’ll have your own room with ensuite bathroom, space to study, sleep and store all your things while gaining the social aspect of sharing and making friends with housemates. 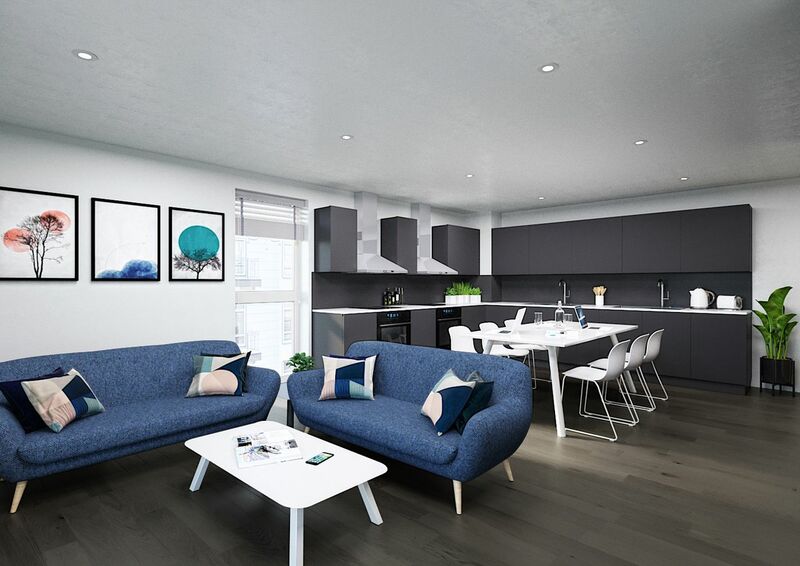 If you like your personal space then a studio with fitted kitchen and private bathroom might be just the answer. Relax in the communal areas watching TV, playing pool or video game tournaments. Take your books out to the terrace for some fresh air without having to go too far, pausing to watch mates play table tennis. The group study area will come in handy when you want to get advice on a project. Don’t miss social events organised by the onsite staff. They’ll answer any questions you might have about the laundry or your all inclusive rent. Wir haben leider keine Unterkunft gefunden, die deinen Wünschen entspricht.Alle Privatzimmer in Oxford Point ansehen. Wir haben leider keine Unterkunft gefunden, die deinen Wünschen entspricht.Alle Ganze Wohnung in Oxford Point ansehen.